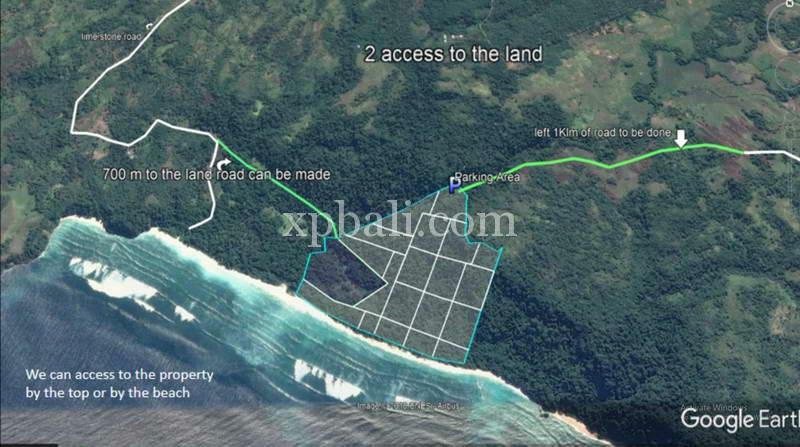 This is an investor dream to build your future paradise in Sumba Island. Located near Rita beach in South West Sumba. Only this particular area attracts the investors and a few hotels have being built and some are under currently construction. Some of the existing hotels are Alila, Nihiwatu and others. There are three different roads to access the property. The best road access has already been asphalted. Enjoy the best road from Tombolaka airport to the property with incredible beauty and diversity of landscape. You can access to the property by beach also. 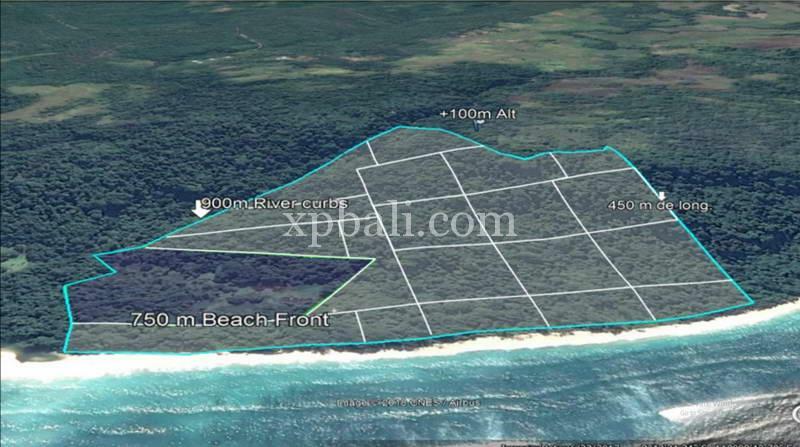 This 29,5 hectare freehold land has everything to offer. From the top of the land, you can see a wide and clear view of the ocean. This beachfront piece of land also has 750 meter wide to the super beautiful white sandy beach. 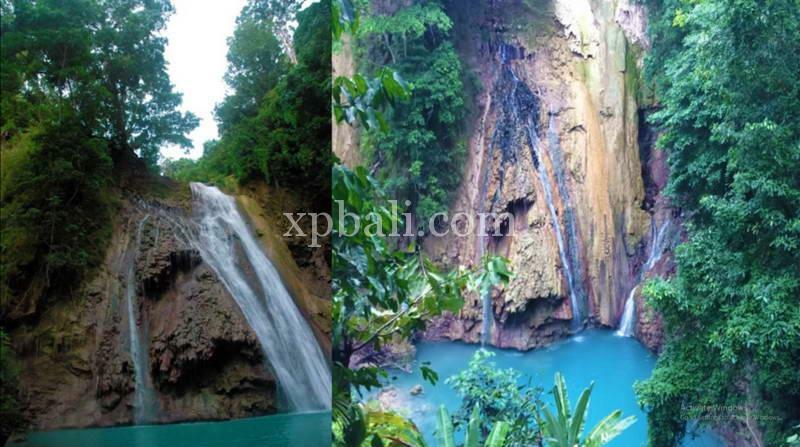 The property also have a stunning natural waterfall which can only be accessed from the property.